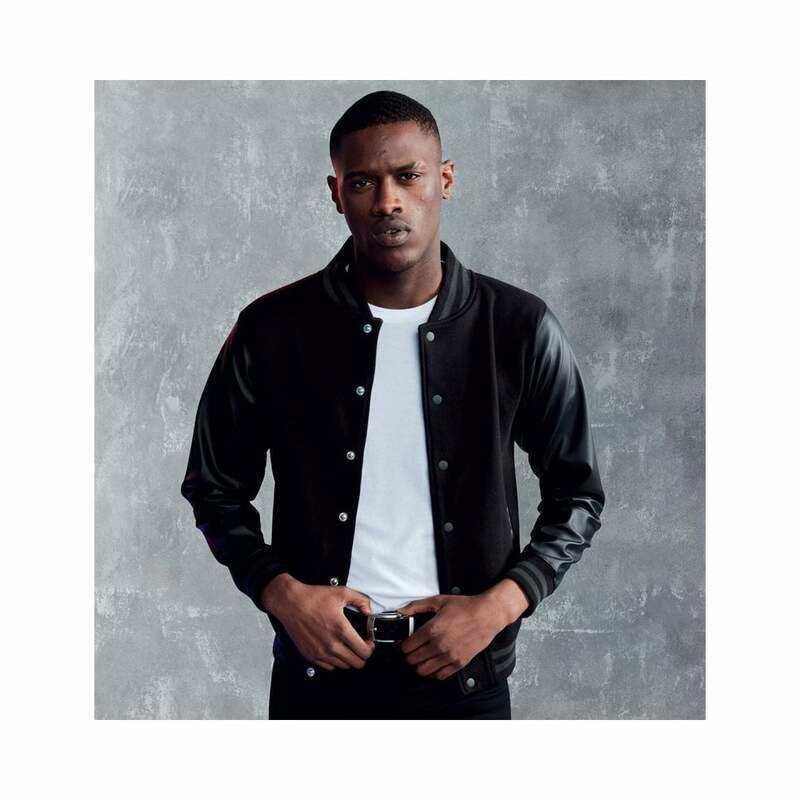 All we Do is Hoods Letterman Jacket this is a retro style jacket that can be worn all year round and will give the wearer a trendy look. It is made from a mix of fabrics and has a matt effect press stud front, faux leather sleeves and strips on the collar, cuffs and waistband. 4 amazing colours to choose from. This retro American style jacket will provide the wearer with a trendy and casual layer during cooler months. Features include a matt-effect press stud front, faux leather sleeves, and striped trims on the collar, cuffs and waistband. XS 32" S 34" M 38" L 42" XL 46" 2XL 50" 3XL 54"